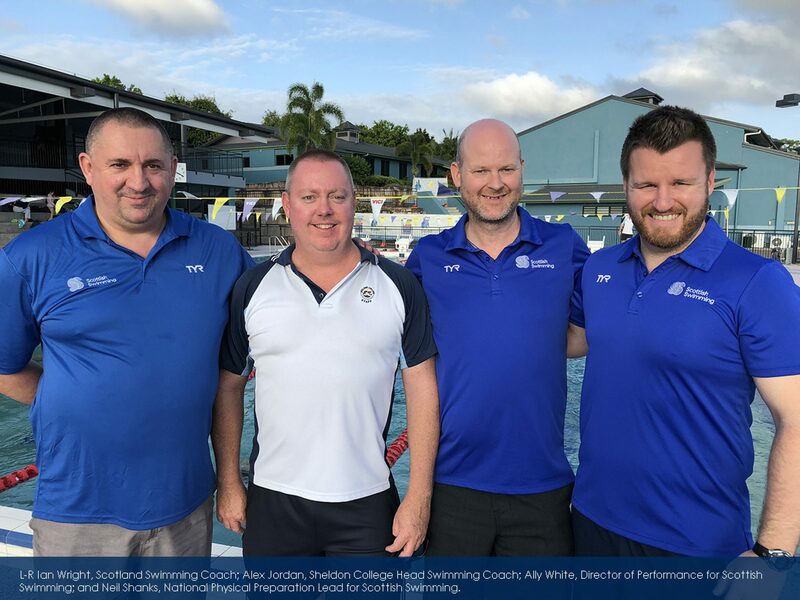 Sheldon College Head Swimming Coach, Alex Jordan, was thrilled to host three swimming coaches from Team Scotland in the lead up to the Gold Coast 2018 Commonwealth Games, at Sheldon College this week. Sheldon Academy of Sport Junior, Intermediate and Senior Squad swimmers had the privilege of learning from the world-renowned coaches as they were put through their paces during the training session on Tuesday. Team Scotland Swimming Coach, Ian Wright, is currently in Australia working with the Scottish Swim Team in preparation for the Gold Coast 2018 Commonwealth Games. With the Commonwealth Games Opening Ceremony only a week away, Ian generously took time out of his busy schedule to run a training session at Sheldon College on Tuesday afternoon. Ian Wright was also accompanied by fellow Team Scotland coaches, Ally White, Director of Performance for Scottish Swimming and Neil Shanks, National Physical Preparation Lead for Scottish Swimming. Ian Wright has been coaching national and international level swimmers for 20 years. Wright is presently the Head Performance Swimming Coach for the City of Glasgow Swim Team, one of the leading programmes in Scotland and the UK. Wright has coached on many international teams for both Scotland and Great Britain and has guided multiple swimmers to success at European and World Championships as well as at Commonwealth and Olympic Games. 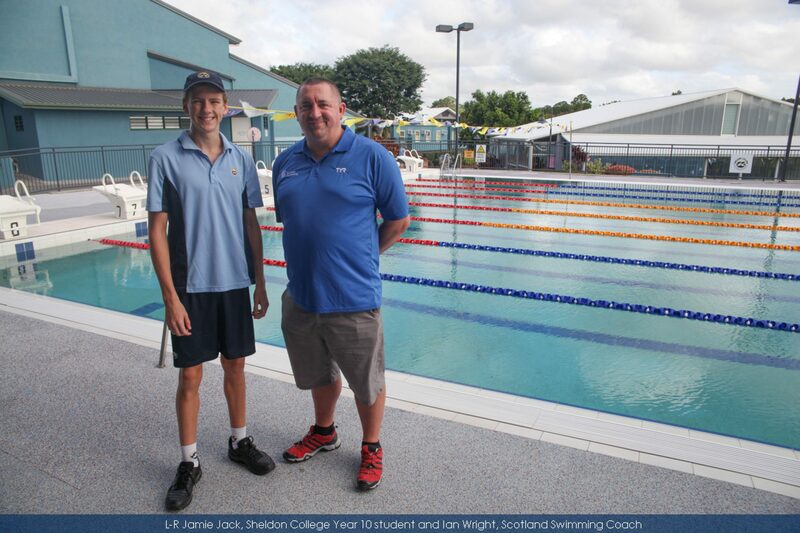 In another outstanding swimming achievement, Sheldon College graduate, Liam Hunter (2014 Alumni), will swim for Team Australia in the Gold Coast 2018 Commonwealth Games.